ACT Lab is a producing and presenting arm of the larger ACT Theatre in downtown Seattle. ACT is a non-profit, regional theatre that produces 6 mainstage shows a year, roughly a dozen ACT Lab shows, and hosts even more rental events in their multi-space building. 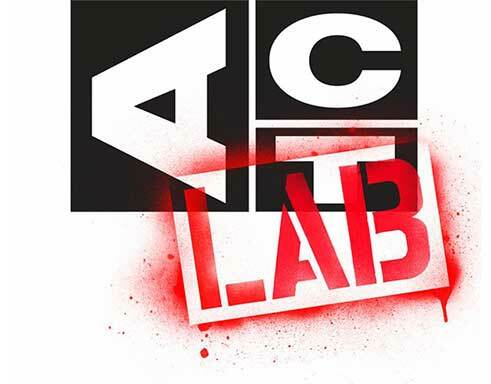 ACT Lab started as a self-contained part of the organization in 2007. It was created through a generous donation that allowed it to support those in the larger artistic community in need of a space and available infrastructure to produce work at a slightly larger scale than they’ve been accustomed to. After a handful of years of success, ACT Lab could no longer be self-contained and was starting to have an impact on how the rest of the organization functioned. Rather than bemoan its gradual intrusion, the Associate Artistic Director and ACT Lab’s Production Manager wanted a more cohesive strategic plan to integrate ACT Lab into the operations of ACT so it supported rather than detracted from the mainstage productions. They saw the potential for ACT Lab to be a feeder for the mainstage shows and wanted to maximize the possibilities it had to expand their audience’s choices and boost their revenue stream. ACT Lab needed a cohesive plan that outlined how to integrate the larger operations structure and maximize its potential both as a money-maker and incubator for new work. ACT’s employees were not factoring into their day-to-day work tasks all the things that needed to happen to support ACT Lab. As a result, the employees were feeling a sense of intrusion from the ACT Lab partners and leadership since they weren’t anticipating the added workload needed to support it. Senior leadership wanted to make gradual changes to their departments so ACT Lab could be more fully supported, and needed a larger awareness of what that support entailed. To do that the organization needed some direction on where they were going. To have a clear target of their 5-year plan, ACT Lab needed a vision and a pithy statement to encapsulate what they were after. In identifying the need for a vision statement, they also discovered a need for mission statement. I facilitated a number of conversations to craft a mission and vision statement for ACT Lab along with a list of goals, wants, and outcomes for the next five years. While the senior leaders met to work on vision and mission statements, I also met with the two sponsors of the project and coached them individually. The conversations were overwhelmingly productive. On average, senior leaders would take one meeting of 1½ -2 hours to discuss direction and concerns, followed by another meeting of the same length to make progress on the vision statement and their goals. Two months into the process, the sponsors were making great progress individually on their goals. The team mostly needed facilitation in their conversations. To make it easier, we established a pattern: I would lead conversations and take notes, reiterating points that were made by multiple people, paraphrasing, and visually capturing what they were discussing for everyone to see at once. In order to maintain growth, we moved from a model where I was leading the conversations to one where the leaders of ACT Lab were creating and leading the agendas. Over three meetings, we slowly handed off this responsibility to the Associate Artistic Director so that by the end he was both participating in and facilitating the conversations regarding specific goals and action steps required to get to them. The biggest changes were in documenting and creating a shared document to reference for this plan. It was found through this process that many plans had been made before, but that largely they were ignored because they weren’t self-directed, were too large, or weren’t easily digestible or understood by senior leaders. This plan was understood by everyone in the organization and all the moving parts were easily understood so ripple effects were more deeply understood. The fully outlined plan for ACT Lab came to 3 pages. It was a document that could be easily referenced and used as each prescribed meeting took place.